I love the dress on the left - while I love the off the shoulder look on others, I just don't know how comfortable it would be! I vote for the dress on the left! Ummm did I write your #3?! Story. of. my. life. My well-dressed children...and then there's me in my workout clothes at least 5 days a week! Ha! Love both dresses, but especially the one on the right! Ohhh I love your dress options and her little dress. Can't wait to see those pics! Aww, she is such a little doll! My son is 20 months now and I can't even believe it! I vote for the dress on the left - both are pretty though. I love both dresses but think the dress on the left is extra cute. I vote left for sure! 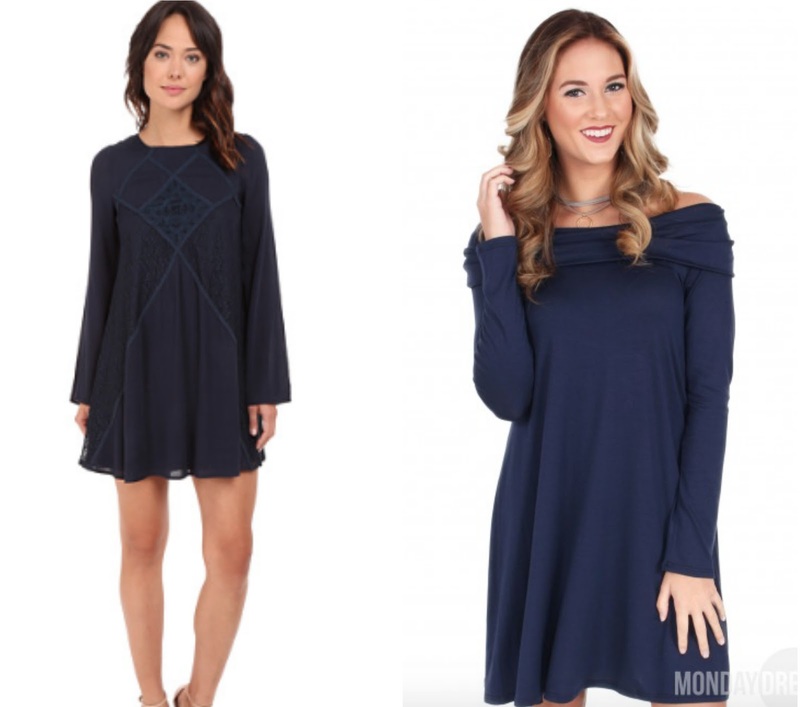 Those are some cute fall dresses! I can't wait to hear what you decide on! She is SUCH a cutie!!! 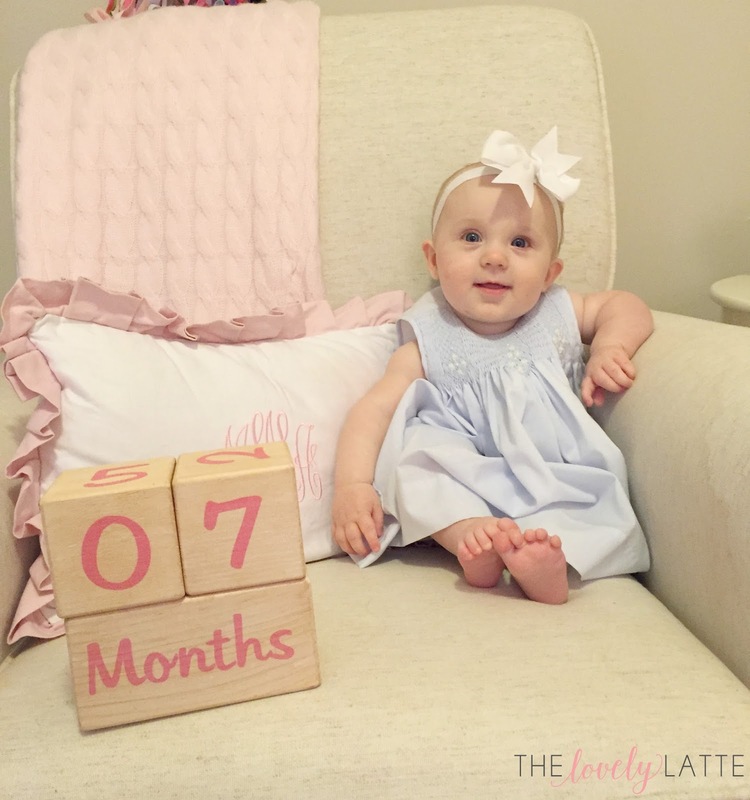 I bet those 7 months have flown by!